I have some .nupkg files from a C# book. How can I install them? Give a name and folder location. 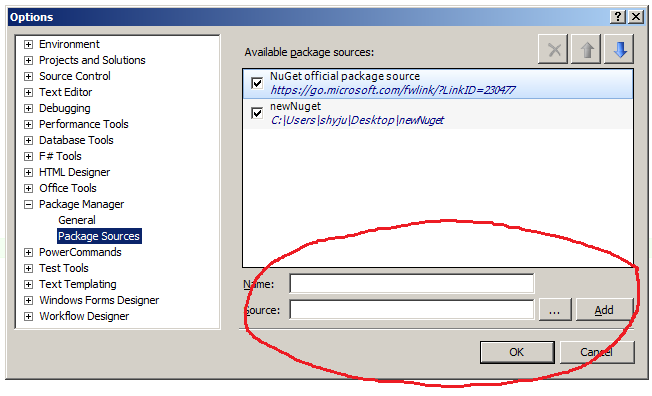 Click OK. Drop your NuGet package files in that folder. 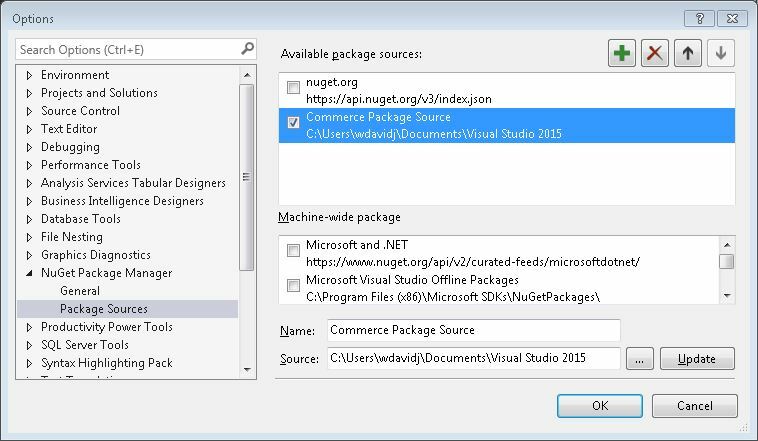 Go to your Project, right click and select "Manage NuGet Packages" and select your new package source. If the solution is open in Visual Studio, close it, then re-open it. If you have a .nupkg file and just need the .dll file all you have to do is change the extension to .zip and find the lib directory. 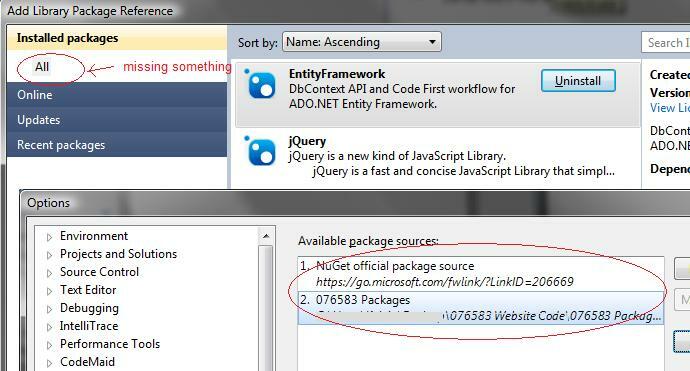 You first have to tell Visual Studio about the location of your package, and then you can add it to a project. What most people do is go into the NuGet Package Manager and add the local folder as a source (menu Tools → Options → NuGet Package Manager → Package Sources). But that means your dependency's location isn't committed (to version-control) with the rest of your codebase. This will add a package source that only applies to a specific solution, and you can use relative paths. My use case for this functionality is that I have multiple instances of a single code repository on my machine. There's a shared library within the codebase that's published/deployed as a .nupkg file. This approach allows the various dependent solutions throughout our codebase to use the package within the same repository instance. Also, someone with a fresh install of Visual Studio 2017 can just checkout the code wherever they want, and the dependent solutions will successfully restore and build. Just to give an update, there are minor changes for Visual Studio 2015 users. To choose your added package, right click your solution and select "Manage Nuget Packages"
Not the answer you're looking for? Browse other questions tagged visual-studio nuget or ask your own question. Is there a way to download packages from nuget.org then do an offline installation into Visual Studio? How to create and use ASP.NET vNext class library NuGet package? How to get the url of a .nupkg file?